Currently I am reading The Cure for Everything byTimothy Caulfield, a health and fitness professional from the University of Alberta. 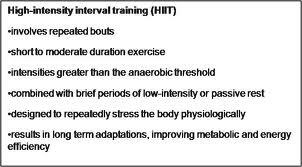 I will be reviewing the book at a later date but have adapted one thing from it into my drive to get back into fighting shape for fencing ... High Intensity Interval Training (HIIT). It is something I really had not heard of but, after reading about it, realize that this is a technique that seems to be used by many trainers. I see it used quite a bit on The Biggest Loser too. The book talks about different studies done which have shown that people have a different perceptions of how hard their workouts are. The U.S. Centre for Disease Control studied how often and how hard they exercised. 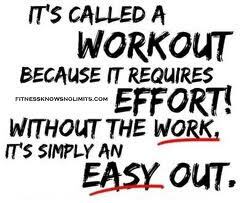 27% said they were exercising at a vigorous level and another 49% said they work out at a moderate level of intensity. I felt my workouts were between moderate and vigorous. When the actual activity of the workouts were analyzed, it was found that only 1% actually had a vigorous workout and just 27.5% worked out at a moderate level. A quick test to see if you are exercising vigorously, it should be difficult to talk while doing the exercise. He goes on to quote studies which say that just running, riding or swimming is not a great way to workout. According to the author, "if efficiency and effectiveness are a priority, you should be doing short blasts of intense activity, followed by periods of recovery." One study found that doing several 30 second sprints on a stationary bike followed by a period of recovery or low intensity riding in between, just 3 days a week, was as effective as a 40 to 60 minute run done 5 times a week. McMaster University in Hamilton published a study in 2010 which agreed with this and said that interval training is likely 4-5 times as effective as the traditional endurance style training. I was also reading that 20 second bursts followed by 40 seconds rest was quite effective. So this weekend I gave it a try. Turns out that not only was I was overly ambitious but did not realize how tough this was. For yesterday, my plan was 30 seconds bursts on a stationary bike followed by a minute of lower intensity for 10 reps. This was followed by doing a circuit on various weight machines. Then to the rowing machine for 20 second burst followed by 40 seconds of a slower pace. Again for 10 reps.
Then after practicing some fencing footwork, it was to the elliptical for the same cycle as the bike. Once done, do it again. I quickly found that this was much harder than I figured. 30 seconds is a long period of time to be going all out. My legs were ready to go. Instead of 10 reps, I found I could only do 5 and it was exhausting. Today I made some adjustments. As I didn't have the same amount of time as yesterday, it was all going to be HIIT work. I started with the 30 second burst on the bike and a minute of reduced pace for 5 reps and found it was a little much. I backed off for 20 second bursts, followed by 40 seconds of reduced pace. This worked out much better and is one I now will use for all three machines, each for 10 reps. I came home with very tired legs and a good sweat on after only being gone for an hour. For me, it should also provide an additional benefit as fencing is all short bursts of energy and this style of exercise mimics that. I am also tracking calorie and nutrition intake on Fitday. Ye,s I am serious about getting back into shape.